Yves Engler is the author of ten books, including his latest, Left, Right — Marching to the Beat of Imperial Canada. All are available in bookstores across Canada and the USA. All but but one are also available as eBooks on Amazon. Yves encourages readers to purchase his books at local independent retailers or to order them through Turning The Tide bookstore. Bookstore and academic orders must be placed through Black Rose Books (Left, Right) or Fernwood Publishing. 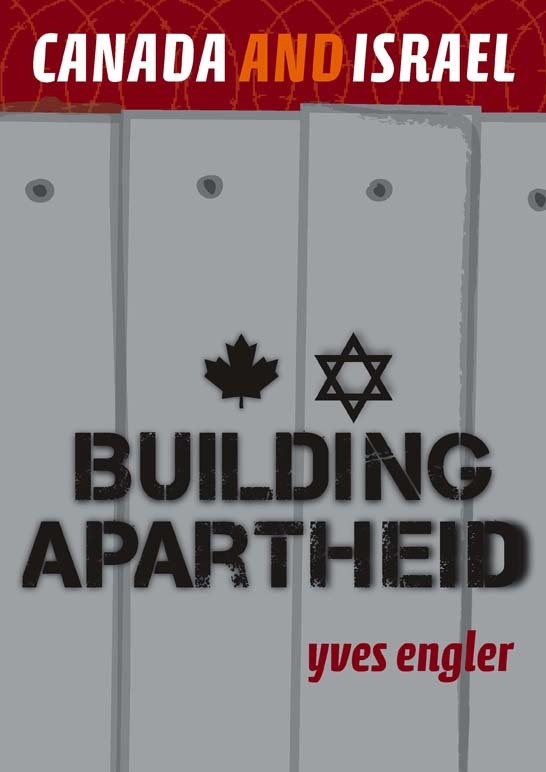 If your organization would like to sell Yves’ books as part of fundraising activity please email yvesengler(at)hotmail.com for bulk sale prices. Left, Right details the Canadian Left’s promotion of colonial policies and nationalist myths. 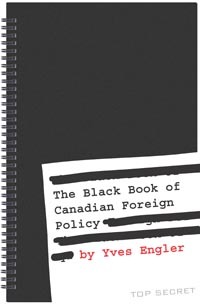 Yves Engler’s latest book outlines the NDP’s and labour unions’ role in confusing Canadians; from Korea to Libya, Canada’s major left-wing political party has backed unjust wars; Canadian unions supported the creation of NATO, the Korean War, the assassination of Patrice Lumumba, the Bay of Pigs invasion and the coup in Haiti. Left, Right also shows how prominent Left commentators concede a great deal to the dominant ideology. Whether it’s Linda McQuaig turning Lester Pearson into an anti-US peacenik, Stephen Lewis praising Canada’s role in Africa, or others mindlessly demanding more so-called peacekeeping, Left intellectuals regularly undermine the building of a just foreign policy. Left nationalist ideology, both Canadian and Quebecois, has warped the foreign policy discussion; viewing their country as a semi-colony struggling for its independence has blinded progressives to a long history of supporting empire and advancing corporate interests abroad. Even many victims of Canadian colonialism among indigenous communities have succumbed to the siren song of supporting imperialism. 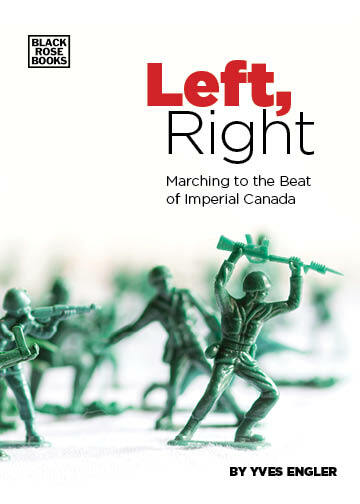 Finally, Left, Right suggests some ways to get the Left working for an ecologically sound, peace-promoting, non-exploitative foreign policy that does no harm and treats others the way we wish to be treated. 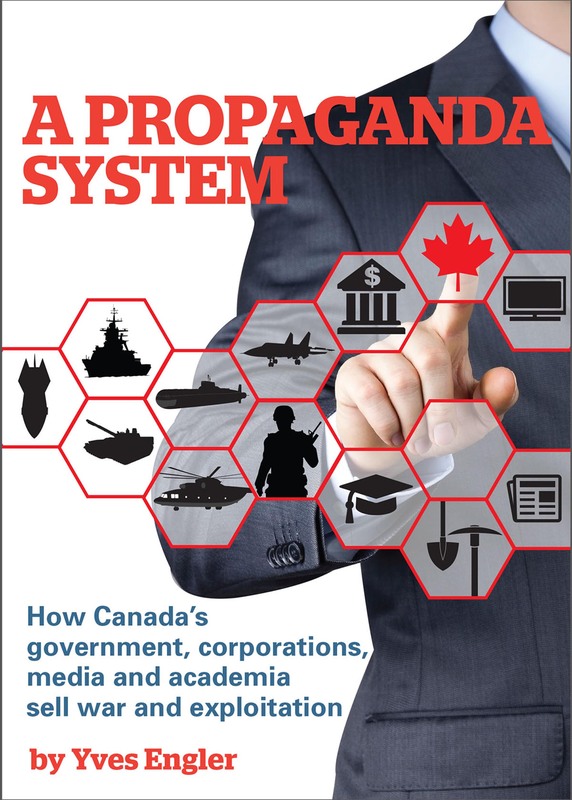 “A provocative and challenging book and a must read for anyone who wants Canada to operate in a humane and honorable way on the world stage.” Tom Sandborn, Columbia Journal. 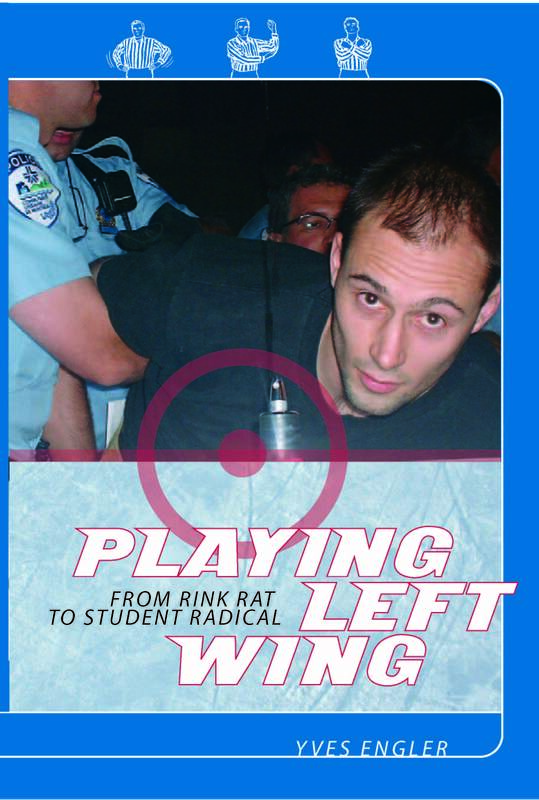 “Left, Right is important and valuable in that it does not only illustrate and lament the corruption of leftist principles, but it also provides solutions about how leftist principles can be upheld; pushing the Left leftwards.” Kim Petersen, Global Research. 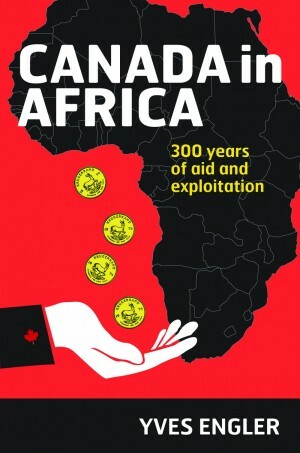 Canada in Africa documents Canadian involvement in the transatlantic slave trade, the “scramble for Africa” and European colonialism. The book reveals Ottawa’s opposition to anticolonial struggles, its support for apartheid South Africa and Idi Amin’s coup, and its role in ousting independence leaders Patrice Lumumba and Kwame Nkrumah. 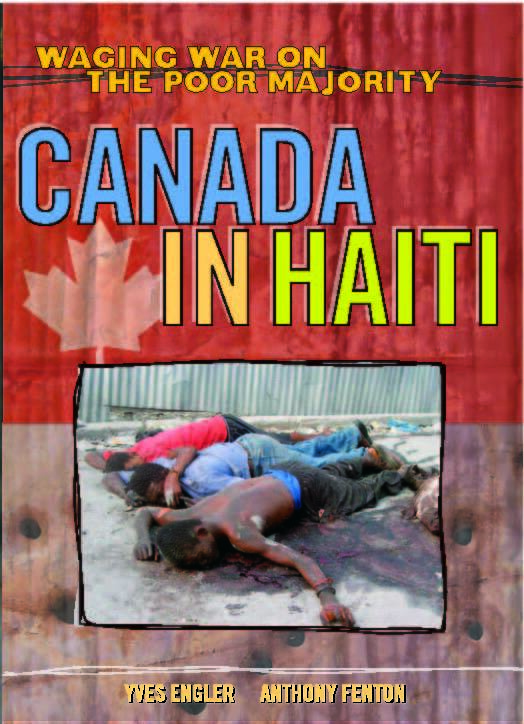 Based on an exhaustive look at the public record as well as on-the-ground research, Canada in Africa shows how the federal government pressed African countries to follow neoliberal economic prescriptions and sheds light on Canada’s part in the violence that has engulfed Somalia, Rwanda and the Congo, as well as how Canada’s indifference to climate change means a death sentence to ever-growing numbers of Africans. – Nnimmo Bassey, winner of the Right Livelihood Award (“Alternative Nobel Prize”) and author of To Cook a Continent: Destructive Extraction and the Climate Crisis in Africa. Order Canada in Africa here. Order Kindle eBook here. 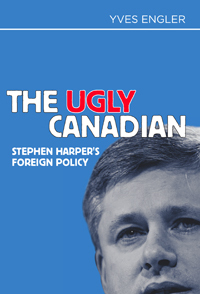 Stephen Harper’s foreign policy documents the sordid story of the Canadian government’s sabotage of international environmental efforts, a government totally committed to tar sands producers and a mining industry widely criticized for abuses. Furthermore, this sweeping critique details Harper’s opposition to the “Arab Spring” democracy movement and his backing of repressive Middle East monarchies, as well as his support for a military coup in Honduras and indifference to suffering of Haitians following the earthquake that devastated their country. Order The Ugly Canadian here. Order Kinde eBook here. 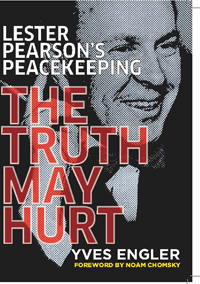 Order Lester Pearson’s Peacekeeping here. Order Kindle eBook here. 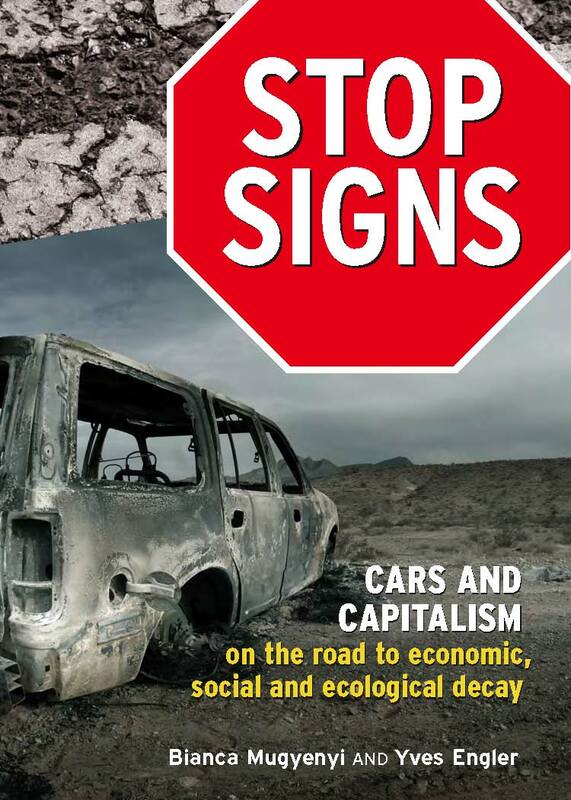 Order Stop Signs here. Order Kindle eBook here. – Gabor Maté, Physician and author of In the Realm of Hungry Ghosts: Close Encounters With Addiction. Order Canada and Israel online here. Order Kindle eBook here. Shortlisted for the Mavis Gallant Prize for Non-Fiction in the Quebec Writers’ Federation Literary Awards, this book could change how you see Canada. Most of us believe this country’s primary role has been as peacekeeper or honest broker in difficult-to-solve disputes. But, contrary to the mythology of Canada as a force for good in the world, The Black Book of Canadian Foreign Policy sheds light on many dark corners: from troops that joined the British in Sudan in 1885 to gunboat diplomacy in the Caribbean and aspirations of Central American empire, to participation in the U.N. mission that killed Patrice Lumumba in the Congo, to important support for apartheid South Africa, Zionism and the U.S. war in Vietnam, to helping overthrow Salvador Allende and supporting the Pinochet dictatorship in Chile, to Haiti, Iraq and Afghanistan today. For more reviews and information or to buy Black Book click here. Order Kindle eBook here.